Getting The Most Bang For Your Buck! - I Love ABA! I had a post on Client Intake a while back, where I briefly summarized how I conduct intakes on new clients. A proper assessment and intake is necessary when beginning to work with any client. 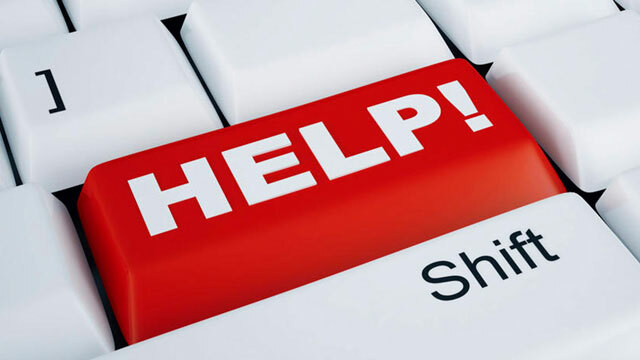 Typically the supervisor on the case conducts the intake, although sometimes the direct staff may be responsible for this task. When I am conducting an intake, in addition to assessment, interview, record review, going over the contract, and observation, I also like to do my own brief version of “ABA 101”. I like to review the program book, answer any questions, and discuss tips for getting the most out of ABA therapy. The parent or family you are sitting across from during an intake initiated services for a variety of reasons. They expect to see change. They expect to learn from you. They expect their lives to improve. They expect to have their hopes met, and their fears diminished. For these reasons, its important to help families understand what they can do to get the MOST out of ABA therapy. Just because a family has requested ABA services does not mean they understand what ABA can do, or what its all about. Parents might ask you things like “How long do we have to do this?”, “Is he going to cry/tantrum every day?”, “Am I supposed to participate or stay out of the way?”, “Should we go buy some Skittles/M&M’s?”, “How soon until she starts talking?”, “Isn’t my child too young/old for this?”, etc. Helps with composing parent training – I typically can gather enough information from my first few meetings with a new client to start creating parent training documents. Through observation or interview I will learn about the issues the parents are struggling with: Compliance, Bedtime routine, Transitions, Feeding, Toileting, Sibling interaction, etc. Or, basic behavior concepts like Reinforcement. 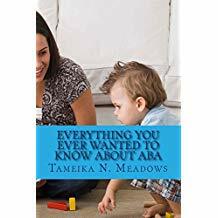 Knowing the ABA knowledge base of your client will help you to individualize your approach to parent training (which will make the information more effective, if they can actually…..you know….understand it). Helps with designing behavior plans – The behavior plan basically states how all caregivers will react to a specific behavior, and what new behavior will be taught and reinforced. I can write very simple behavior plans, or pretty complex ones. Some behavior plans I hand to a staff member, and sometimes there is no staff which means the parent gets the behavior plan. Its important as an ABA professional to know how to modify what you come up with to fit the audience. You WANT the family involved, so be sure you aren’t overwhelming or frustrating them with the documents you create. Helps with selecting best teaching methodology – The teaching methodology used should encompass what is best for the learner, the family’s preferences, the expertise/training of staff, etc. Some households are better suited for DTT, while in other households NET/Incidental Teaching may be a better choice. Also, some parents may have negative views about certain methodologies, such as being very against DTT. If so, a different teaching methodology can be utilized that has more parent “buy-in”. Paves the way for active parent involvement – Similar to having a contract to review, explaining ABA effectiveness strategies sends the message that you are a professional who takes your job seriously, and it makes it very clear that you will not be doing the “heavy lifting” alone. I like to explain this to parents by saying that I will work hard, they will work hard, and the kiddo will work hard…..we all have a part to play. Provides information for your Shaping process- Much of what ABA professionals do with new clients involves shaping. Most of us know how to use shaping to teach the kiddos we work with, but much of the work we do with the family also utilizes shaping. If I have just started to work with a parent who is new to ABA, I can’t walk in and hand her an Automatic Stimulus Pairing procedure and expect 100% follow through. That’s completely unrealistic. I have to start slowly, meet the parent where he/she is, and gradually raise my expectations over time. If I don’t know how knowledgeable the parents are about ABA, then shaping becomes much more difficult. Below is the handout I give to new clients to provide concrete strategies that will help them get the most out of ABA therapy. I find that families who incorporate these strategies often report the most satisfaction, or see the most gains from therapy. 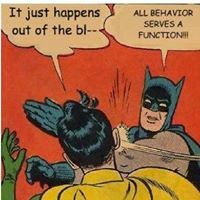 The reason why is simple: ABA therapy is meant to be intensive and to generalize across individuals and settings. The more the family is doing what I am doing, the more effective treatment will be. Thank you for sharing the strategies handout! Very helpful!